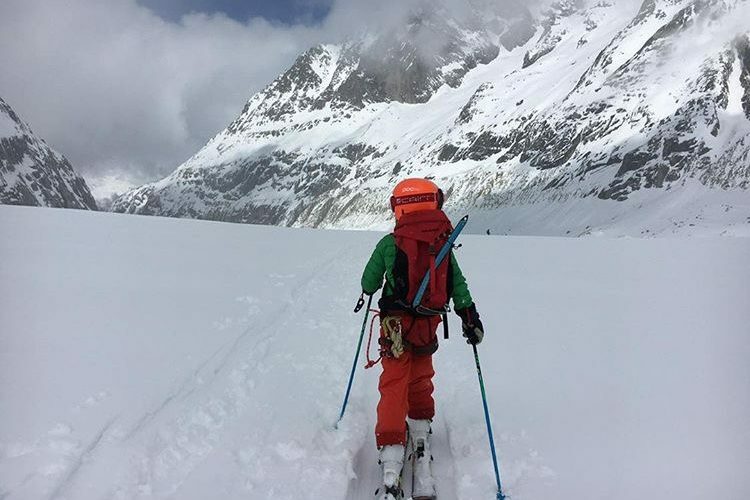 Technological developments in the last few years have meant ski equipment is now much lighter and safer, allowing more scaled-down children’s products to be produced and therefore making it much easier to go into the backcountry with the whole family. Lange, Rossignol, Tecnica and other brands have developed scaled-down hike and ride boots for children. With walk modes built in, it is now much easier and less tiring for your children to hike up with you. Skis have become lighter in the last few years and junior skis are no exception. Suitable wider-bodied freeride skis for children are readily available, often built off of the concepts from their award-winning adults’ ski versions. Atomic, Black Crows, Blizzard and Line are just a few of the many brands that are building impressive junior freeride ski options. Giving children the rare opportunity of freedom and a sense of adventure at a young age will plant the seed for the future – it empowers them to push their limits, seek out the unknown, create their own playground and eventually to adventure into their own hidden valleys. 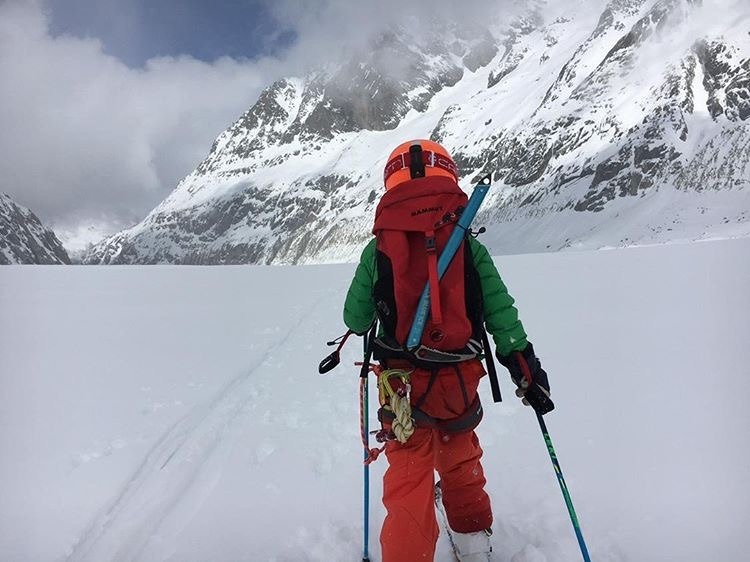 Photos courtesy of Masha Gordon @gritandrock – this is her son Theo aged 9 on a ski touring and climbing adventure on the Vallée Blanche.